Complementary colors are directly opposite each other on a color wheel, and they include such color pairings as red/green, orange/blue, and yellow/purple. The use of complementary colors in artworks or photographs can give them pleasing contrast, vibrancy, and visual excitement. As an antidote to the drab winter blahs, here are some pre-winter complementary color pairings. The classic pairing of red and its complement green, besides being the traditional colors of Christmas, is very common in nature with red berries or red flowers against green leaves. 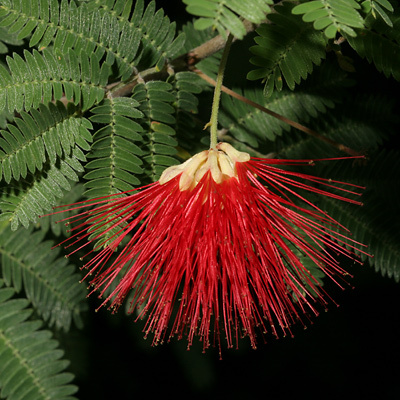 These brushy red flowers belong to a cultivated Baja Fairy Duster (Calliandra californica) growing in my yard. The red powder puff flowers are very popular with hummingbirds. 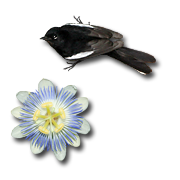 The complementary pairing of yellow and purple is not uncommon and can often be seen on flowers with purple petals and a yellow center. 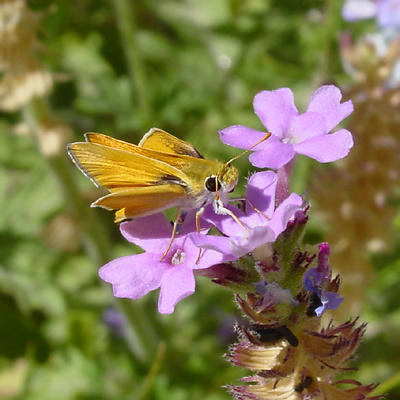 Here, an unidentified yellow Skipper (Family Hesperiidae) butterfly is perched on a purple Southwestern Mock Vervain (Glandularia gooddingii) flower in Sabino Canyon. 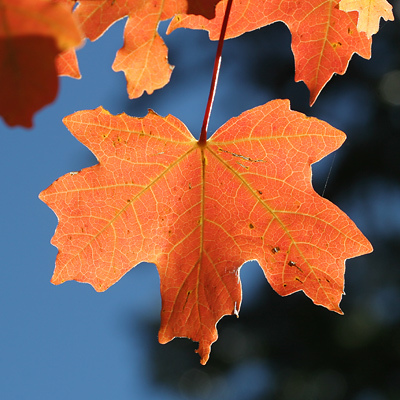 In nature, the complementary colors of orange and blue are not easily found together unless you plant orange and blue flowers together in your garden, or do what I did here, photograph something orange like this autumn leaf of a Bigtooth Maple (Acer grandidentatum) against the clear blue sky.